Visually, it is a gray icon. But you are wrong if you think so. 1. When absorbing any place of this button, you will discover it is not in the leftest side of the color box. The leftest side is black and white colors that do not have saturation. You can see from here that I have added a bit of yellow color, and that is the knack for selecting colors. Many beautiful icons have been added with blue or red color though they appear in gray tone. Now you know why you have imitated for many times but still not close. 2. To draw icons of this color, you should have good control on color range. Even when the color is very close, do not ever use pure colors. Instead, you should make a gradient, then adjust it continuously while paying attention to that the color should not exceed the red area. 3. The inner shadow method is simple. During drawing, I have tried to mix the distance from 0-5, size from 0-5 and transparency from 8% to 90% for one time, and finally found this combination that looks best. PS:since the 1px highlight that I have done with projection is to be displayed on PC, I have used a distance of 1px. 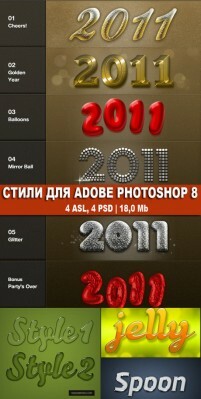 If it is to be displayed in other high resolution devices(such as iphone), it would be different. 4. There is a gap of 1px between the round button and the oval slide groove. At this point, we should be precise when drawing this graphic, even a deviation of 1px is not allowed. 5. Reflective effect can also be done with gradient. Just add a touch of faint color at the end of the gradient and you will have different feeling. 6. There is a strict rule for projection. The first projection is the project built in the round shape and its projection range is small; the second layer is motion blur; the third layer is motion blur with bigger value. Overlay them and integrate them through adjusting the transparency. Visually, the projection attained through motion blur will be wider than the button. Therefore, we should narrow it down on two sides with the smudge tool. To contracted but not simple, designers should try restlessly, never overlooking a single pixel and may having to spend a long time on certain detail. Hope this article will be helpful to you. This entry was posted in Tutorials, PhotoShop Tutorials and tagged icon, texture, button, fine, Precision, slide, button design, draw button, slide buttons, switches. Bookmark the permalink.